There are 5 blocks with 4 rooms in each building. Balcony offers a view of garden in the day time and the heavy mist surrounding these blocks make you feel like you are among clouds while on the balcony at early morning during winter. 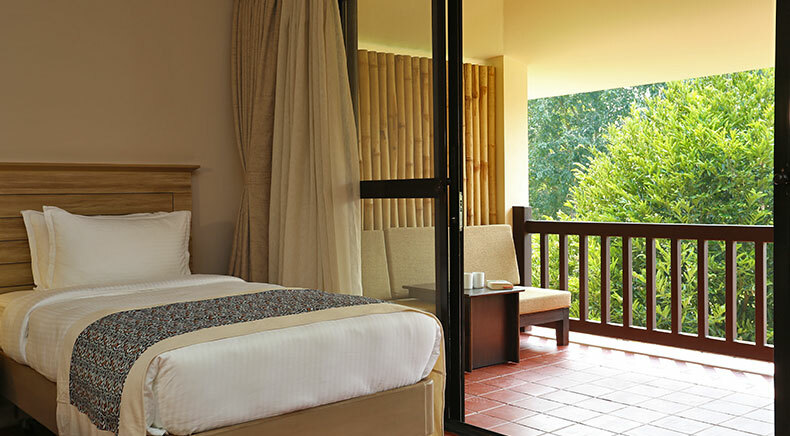 These rooms offer the best view of resort landscape through tall trees and bushes around. 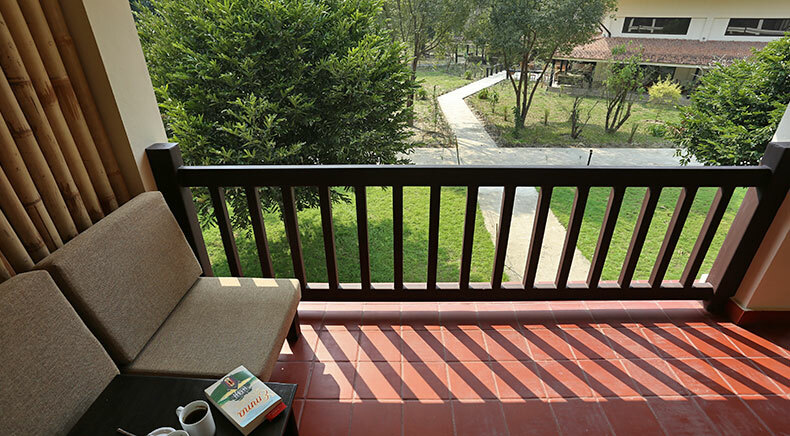 Great view of the garden is seen from the balcony of the room. Best view of resort through tall trees and bushes around is also seen from the room. The lodge also provides a very good room services. 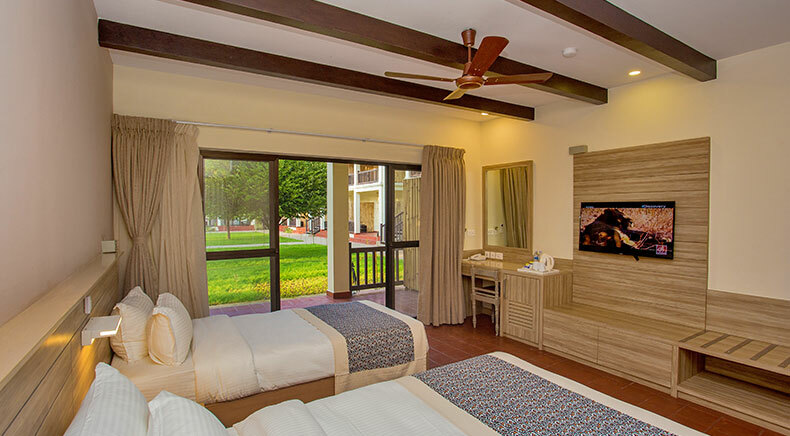 The lodge landscape is prominently visible from all of deluxe rooms. Every room offers private balcony. 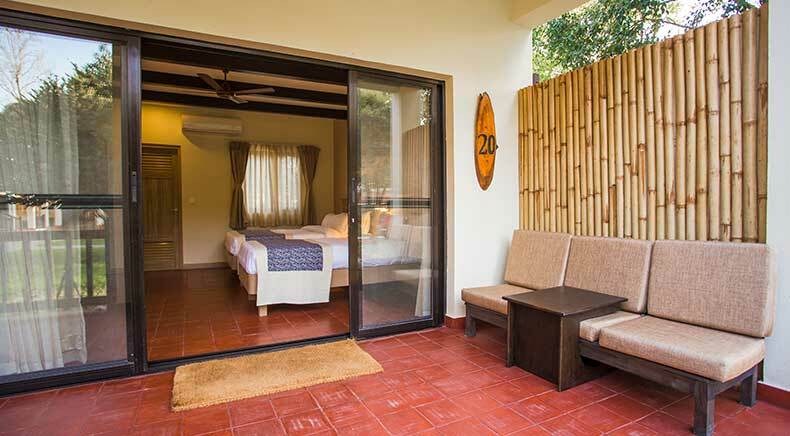 Rooms are full facilitated with amenities that makes you pleasantly surprised being in the jungle. Copyright © 2019 Jagatpur lodge All Rights Reserved.